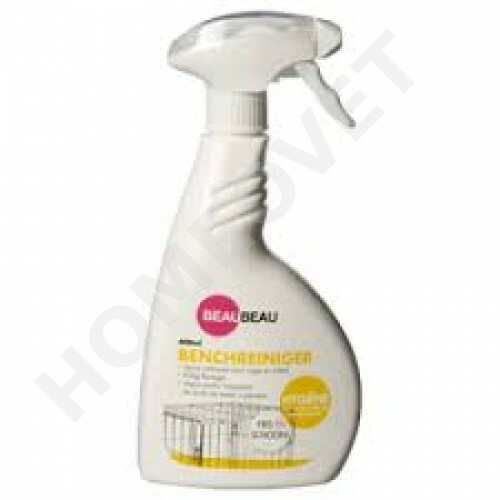 Beaubeau Pet Habitat Hygiene Spray will keep your Dog Kennels, Pet Carriers, Small Animal Cages etc. clean and odor-free everyday. Specially selected micro - organisms, in cooperation with the perfumed cleanser make the cages and kennels easely clean and control bad odor. There are no harmful residues, suitable for dogs, cats, small pets! Convenient spray bottle - 400ml ! Clean first with water, than simply spray it on your pet's kennel, cage, or carrier, and remove the remaining dirt with a wet cloth . Spray afterwards a few times over the surface . The blanket or pillow can be placed directly into the crate or cage .